The Merced County Arts Council is throwing it’s first ever Artageddon event. The challenge: You have four hours to paint, using only the materials you are given. Weeks later, comes the competition… a single elimination tournament, judged by the audience. 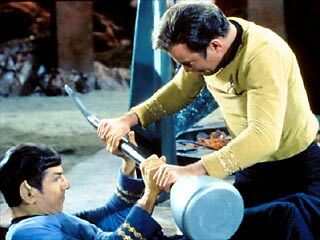 Winners move on to the next bout, and losers… are destroyed!!! The Wheel of Death determines the mode of destruction, and only an audience member’s purchase will save the painting. The winning painting not only survives destruction, but earns $500 for it’s creator. This is mega-exciting, and we cannot wait! Unfinished pottery (bisque) on the shelf, waiting to be painted. Our Art for the Heart workshops were so popular, with participants reporting so much enjoyment from the experience that we decided to start a new project: Paint-Your-Own Pottery workshops. Just in time for Mother’s Day! The Enrichment Center will be hosting two pottery painting workshops at the Multicultural Arts Center, 645 W. Main St. in Merced, CA. Since this is our first workshop, we weren’t sure how much of what type of bisque to order. 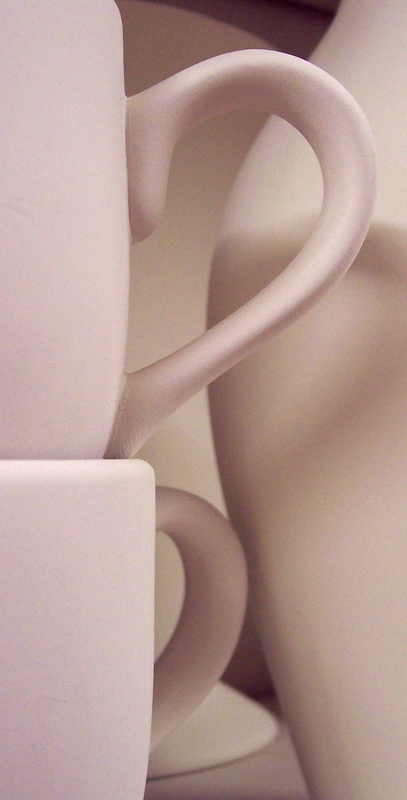 However, Mother’s Day seemed like a safe theme to focus on cups/mugs, vases, and frames. We designed our selection to provide participants with a variety of styles and prices to choose from. The EC will provide an introduction to the materials, guidance throughout, and everything you need to paint your pottery– glaze (paint), brushes, water, towels. Step 1: Register for one of the workshops. Prices will range from $5 to $20 plus tax. and everything you need to start painting. Be prepared for Mother’s Day, upcoming birthdays, even get a jump on Father’s Day. Register now! Space is limited, and we will not be taking walk-in’s. 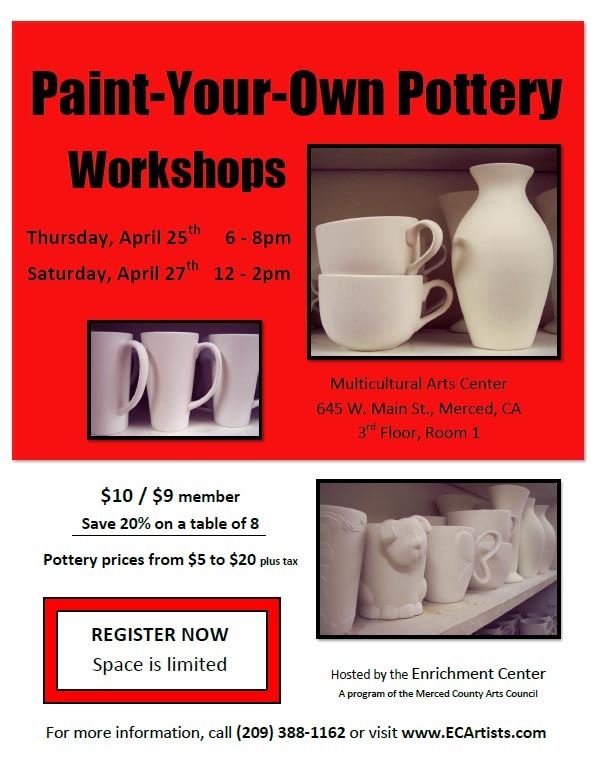 To register, pick up or print the April 2013 Paint Your Own Pottery Registration Form and bring it in with your payment to the Multicultural Arts Center, 645 W. Main St., Merced, CA. The Enrichment Center office is in room 6 on the 3rd floor, but you can also register in the Arts Council’s business office on the 2nd floor. For more information, email us at ECArtists@yahoo.com or call us at (209) 388-1162.